Sue came to see me after a traumatic time nursing her husband. 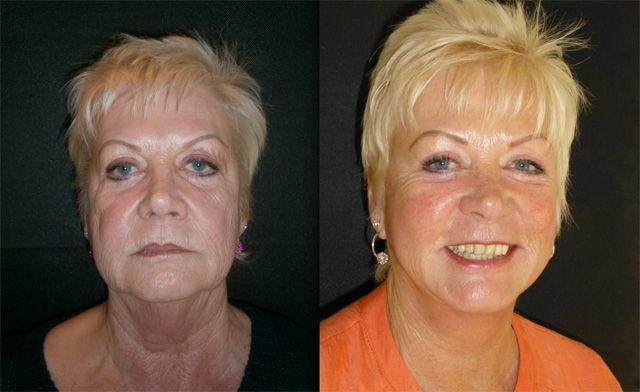 She had noticed that the stress and weight loss had taken its toll on her face. 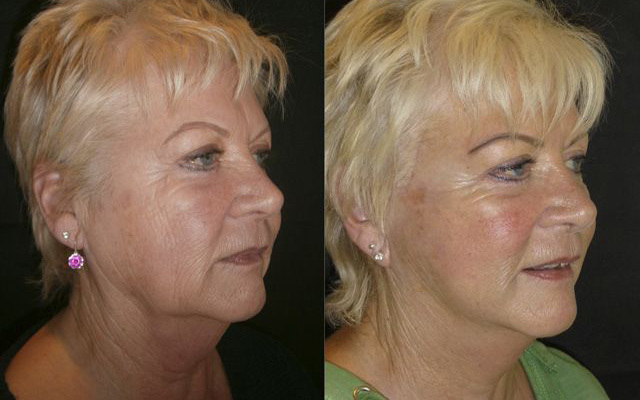 She had significant loss of mid facial volume, infraorbital hollowing and a heavy lower facial third. Her mid-facial bone structure had become visible and her brow skin was lax. Her mid facial descent had also caused secondary laxity of her neck. As an asthmatic, Sue had been told by several other plastic surgeons that she was unfit for any facelifting surgery. I disagreed! 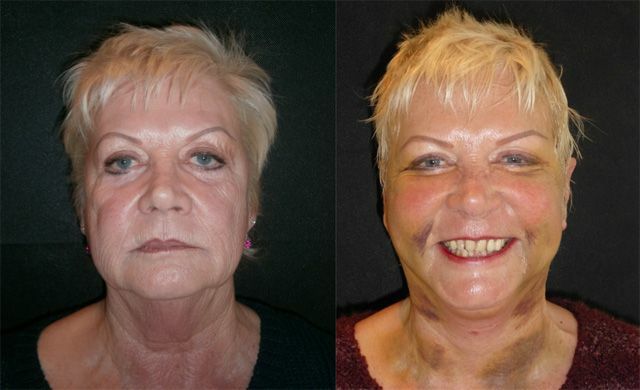 Sue was not fit for a general anaesthetic but was perfectly fit for a facelift and necklift, browlift, platysmaplasty (midline neck tuck) and jaw, jowl and chin liposuction which I performed under local anaesthetic and mild sedation. The day after her facelift surgery and Sue had quite a lot of bruising due to very fragile skin and significant liposuction. 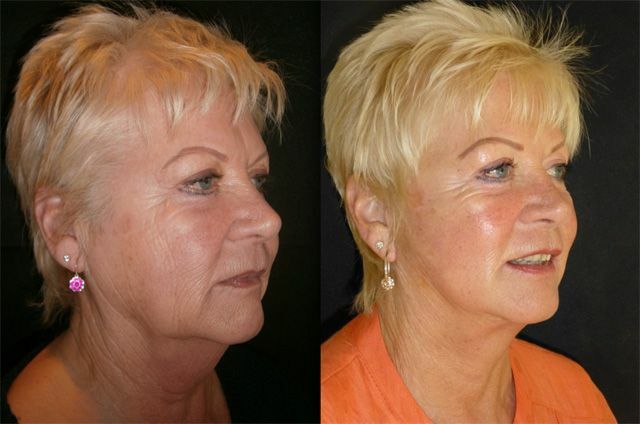 I show immediate postop photos as I do not believe the traditional before and 3 month after shots that are the norm and convey the real recovery process. I like my patients to be fully informed! 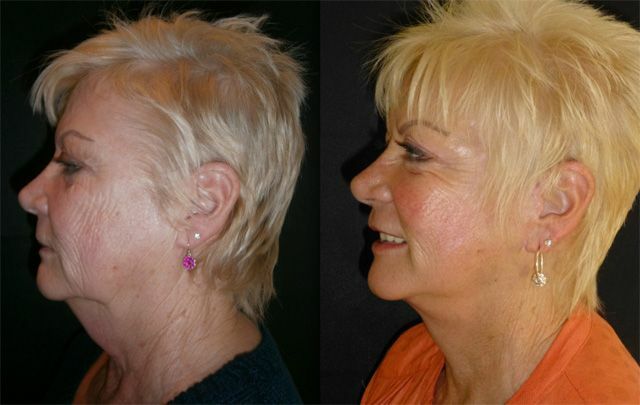 After 5 months Sue looks radiant, she has undergone 3 treatments of Fraxel laser to finish off her rejuvenation program and looks phenomenal. 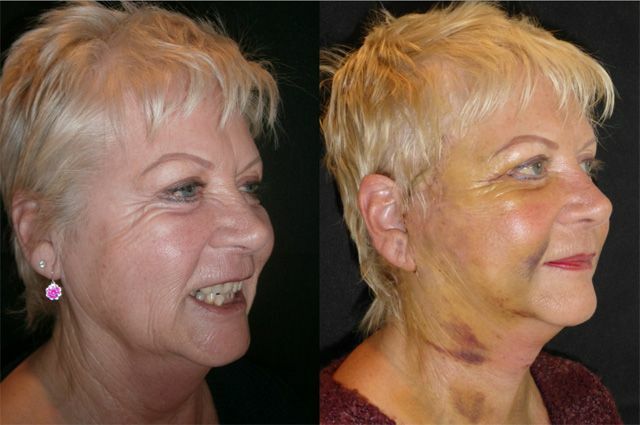 Scars are imperceptible to the naked eye; She looks vibrant, refreshed and happy. 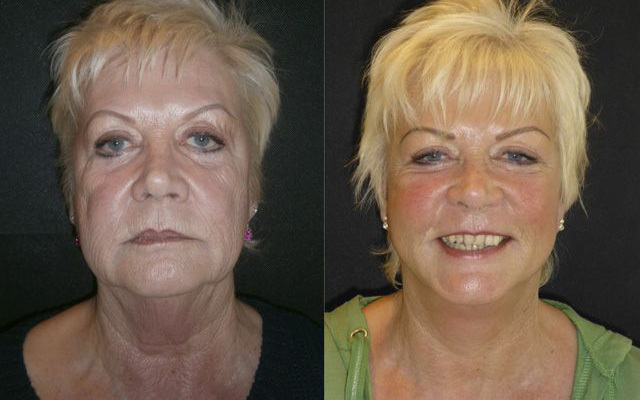 To think every clinic she had previously consulted had said she wasn't fit for a facelift! !